I begin the new year looking back at my reasons for beginning this column. Horror had been my favorite genre for many, many years and then—not. I know why I lost interest, why it no longer stirred me. Formula. Besides making sure that I read at least eight books a year unrelated to my own work, this column provides a good reason to take the time from other writing to conduct a focused search of the current horror landscape for new growth that stands out from the other trees in the forest, to rekindle my interest in my own field, some flash of color or twist of limb that draws my attention to something unprecedented that might herald unforeseen new life. I’ve found work well worth sharing so far, but as I begin looking anew each quarter, I find list after list of the newest releases of existing series, or launches of new ones. Not many novels that exist on their own merit, simply to tell one unique and memorable tale, as if that singular and circumscribed portion of his or her character’s lives is the only period the writer deems worthy of ever being shared with readers. I have nothing against the modern marketing mania in mainstream media for hooking readers on a selling author’s work by linking each release to the last. I myself am guilty of committing two thirds of a trilogy I’m in the process of finally finishing. Even as I work to find a way into my current novel that doesn’t exclude those who have not read the first two, I find myself reticent to review the latest tales in serial stories I’m unfamiliar with, with obvious popular followings or they wouldn’t exist. There will be and already have been exceptions, even if they have so far only proved the rule for me, and reinforced my urge to go beyond them. So I made an extra effort this year to find work intended to stand alone. As I read familiar sounding plot descriptions online, I remembered conversations of the last year with other writers about the standardized state of current horror fiction and films, and my fear that we are trapped in tropes we can’t break free of—that not only are there no new stories, there are no new ways to tell them. Get Out and The Babadook had excited me in film for their audacious ability to refresh old formats with new themes and content that refracted familiar images into new shapes, but they were still using old languages. Nonetheless, a first step in a new direction is better than none, and I know there are books and authors out there I don’t know yet that will help me break free of my own confines by providing examples to follow, not in form, but in their freedom. As I read the two novels for this column, I also found myself examining the purposes and nature of horror—is it meant to frighten or enlighten, to engage my emotions or intellect? 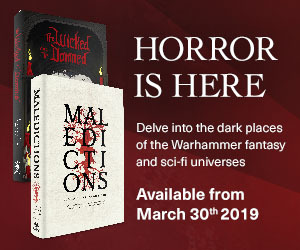 While neither book achieves the Lovecraftian sense of creeping dread that makes you leave the lights on at night, both employ horrific imagery and events in their stories that more than qualify them for inclusion in the genre on either score. I’ll examine the broader spectrum of horror in greater depth in future columns. Some time ago I read comments by Truman Capote, which I can no longer locate, that in writing Unanswered Prayers and Handcarved Coffins he had tried to throw away everything he’d learned in fifty years of writing and start fresh. In reading them I understood what he meant, saw what he’d accomplished, and his success became my literary white whale, a wish to reinvent my work in a similar manner, by leaping so far out into the void that I’d have no choice but to write my way down. It’s a terrifying and invigorating idea; to consciously abandon everything I’ve learned about craft and art, to hurl myself into a story with the faith that it alone could and would carry me where I need to go by some means as yet unknown. I’m not there yet, though I’m about to attempt it on a small scale as I begin the rewrite of the first draft of my latest novel. I am giving myself permission to jettison as much as I must of what I have already written, and of what I know, to reach not home, but exotic and more interesting new shores. As I searched for unknown stars to guide me, I found two books to recommend this month that have made headway in reinventing or refreshing what I consider to be modern horror fiction. It would be too easy to dismiss a new writer with a name like Danger Slater that screams pseudonym, and a flip one at that—though it’s seemingly not—as someone not to be taken seriously. There is a slyly casual, insouciant tone to the writing that occasionally fell just short of confirming my worst fears, as he repeatedly warned me that what I was reading was a fiction. Harrison Moss swallowed a seed. It didn’t taste very good, but he swallowed it nonetheless. It traveled down his esophagus and into his stomach, where it germinated, inside of his body. Then he started digging a hole in his backyard and he didn’t know why. There is simplicity in that opening and art . 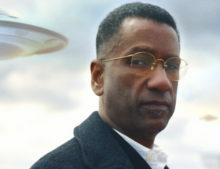 . . an inciting incident, a consequence, action that will carry us forward, and the mystery of why. It reads like a fairy tale as it lays out the lives of Harrison and his wife, Tabitha, in an all too pleasant suburban Hell we’ve visited before, in movies like Edward Scissorhands, or TV shows like Fargo or Twin Peaks. They all tell us that too much normal is abnormal, maddening, that ordinary life wears away at us like acid, until we break apart. Inspired to dig by the seed sprouting inside him, Harrison uses a power tool to shred his hands away, yet somehow still jams the handles of gardening tools into the stumps to excavate deeper and better. Wounded flesh heals to make them part of his body, as James Woods’ hand grew around a gun in David Cronenberg’s Videodrome. The novel is filled with bodily transformations worthy of early Cronenberg, or Sam Raimi, at their most morphic. Harrison’s wife curiously reacts more with indignation than horror, as if he’s merely let a penchant for home brewing take over her kitchen. 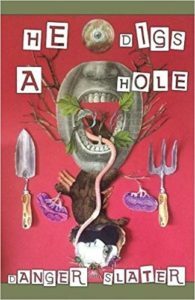 When a neighbor couple is consumed by the hole after a casual dinner together, the Mosses follow them into a world that mirrors our own, only darker, decaying, inhabited by human sized worms with just enough clothes and human qualities to live like us. The dead neighbors are found again as well, in a new and awful form, only vaguely aware that anything has changed. Tabitha’s indignation finally turns to rage and a separation for the couple in a world where anyone would recommend staying together as the better course of survival. Harrison’s inner plant continues to grow; consuming everything but his consciousness, and his estranged wife surrenders to the inevitable as she too swallows a seed, and opens the door to an unexpected climax. I will tell you only that as many times as the tale seemed about to derail entirely, it didn’t, and had an ending that was, despite the peculiar twists and turns it took to get there, eminently satisfying. I realize that what I’ve described might sound as if the novel’s a grim foray into icky organic entropy, but the tone is curiously light, often amusing, occasionally flip, told as simply as a fairy tale, with the same ability to keep enough hold of the dark to make you shudder as you snicker. As is often the case, the name Frankenstein is applied to the creature, not its maker. The title of the novel turns out to be the headline on a local news magazine article about events in the titular town by the closest thing the book has to a main character. If anyone is the hero of this ensemble tale, it is Mahmoud, a young journalist for al Haqiqa magazine who becomes the monster’s amanuensis, even if only by virtue of publishing second-hand tales delivered to him on his digital recorder by Hadi, a used furniture dealer. He unintentionally made the monster by sewing together pieces of assorted bodies blown up by terrorist bombs, so that the single restored corpse could be given a proper burial. 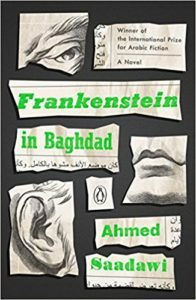 The novel took me on a tour of Baghdad and its primary players before the story really began as Hadi sewed a nose onto the body to complete it. It’s not his fault that the passing spirit of a guard killed in another nearby truck bombing animates the dead flesh and walks away with it. From the best of intentions rises a tale of revenge beyond any thought possible, as the revenant sets off to kill all those responsible for the death of its component parts. As each is avenged, the parts from that body dissolve away—but if not avenged fast enough, they also rot away—so the creature must be continuously restored from its own victims, setting the composite off on fresh missions of vengeance for each, never ending as long as it replenishes itself with new flesh. Can there be a better metaphor for the mess we left in Iraq after the fall and death of Saddam Hussein? This is the English translation of a novel released to deserved acclaim in 2014 in its original language. It favorably reminded me of one of my top five favorite novels, if not my number one, Mikhail Bulgakov’s The Master and Margarita, in that it artfully paints a detailed picture of everyday life under an oppressive regime in the guise of a supernatural adventure. The monster is connected either by events or relation to a community of characters we follow for the rest of the book—Elishva, a grieving old woman convinced her dead son Daniel will return from a war he died in decades ago, who talks to a picture of St. George that talks back; Hadi, the second-hand furniture dealer who lives on the discards of his neighbors in a Jewish ruin; Faraj the realtor, expanding his holdings as neighboring residents flee the beleaguered city; Mahmoud’s manipulative editor in chief, Ali Baher al-Saidi; the filmmaker Nawal al-Wazir, Saidi’s alluring and mysterious mistress; Brigadier Majid, his powerful cohort, head of the secretive Tracking and Pursuit Division that hunts terrorists with psychics . . . and of course, Mahmoud and his journalist friends, tracking the course of their world as it changes daily. Like the assembled body parts of Whatsitsname (as Hadi dubs him), The One Who Has No Name (as the astrologers call him), or Criminal X (on the news), they are all collected at random, but connected by the unfolding events in Baghdad as surely as if they were themselves all sewn together. The Frankenstein theme is even echoed in the body of the narrative, stitched from multiple descriptions of events by its assortment of locals. Long before its end, I had a far better idea of the effects of the last decades on Iraq, and what life there has become since Saddam Hussein, than in all the news reports I’ve seen or read. I’ve always felt that the fiction of any age, in depicting the daily lives of its characters, does a better job of telling us the truth of a time and place better then than any history. Histories are the stories of kings and heads of government, fiction is about the people who live under them, regardless of the circumstances they’re put in. There were times when I felt a particular phrase or image may possibly have been more poetic in its original tongue, but the translator does a good job of rewriting the novel into English in a way that does it more than sufficient justice to appreciate the story. Horror has become commercial enough for the mainstream to codify and replicate successes, and thus kill it, if we’re not careful. Its worst enemy is predictability. As soon as we know what’s lurking in the dark, we stop fearing it. These novels are the beginning of my search for more daring, original work in the field, and I welcome any and all suggestions you may have of new favorites you think should be shared, emotional or intellectual. Send me down a dead end, and you will learn what true horror is . . . Thrill me, and I will thank you.